If you’re a health enthusiast, you’ve probably already heard about the great things apple cider vinegar (or ACV) can do for your health. The problem is that it’s not really the tastiest thing to take in raw form and even if you put it in tea or your favorite recipes, it still doesn’t taste all that great. Many people cannot stand the strong taste of the liquid vinegar. Luckily, food supplement companies have caught on to the idea that you should be able to take apple cider vinegar in pill or powder form just like any other supplement. Here, we’ve broken down the reasons why you might consider taking an apple cider vinegar supplement and which products are the best. In a rush? 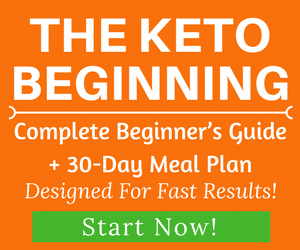 ​Jump to the best ​Apple Cider Vinegar ​Supplements here! Apple cider vinegar is vinegar that is made from crushed apples. It is made by pressing the juice out of the apples and then fermenting it so that the sugars in the fruit are converted into alcohol. Then, specific bacteria is added to the liquid to turn the alcohol into vinegar, which forms two acids called acetic and malic acids. This is where the apple cider vinegar gets its sour taste from. It’s important to remember that not all apple cider vinegar contains the “mother,” which is a term used to describe the part of the vinegar that contains all the enzymes and live cultures. Store brands of apple cider vinegar have been overly processed and heated to high temperatures to extend its shelf life, but this process kills off the good bacteria. So you’ll want to make sure you buy a product that is organic, unfiltered and raw to ensure that you’re getting the most health benefits from the vinegar as possible. As we discussed in our article Apple Cider Vinegar: Top 8 Health Benefits and How To Use, there are many different claims about apple cider vinegar, but not all of them are supported by science. When it comes to taking a supplement, the one you should go with is the one you will remember to take (and not hate taking). So, if you hate taking pills, then you should probably go with a liquid form of apple cider vinegar. On the other hand, if you dislike the taste of vinegar, then you should probably take apple cider vinegar in capsule form instead. Either way, the best supplement is the one you’ll take on a regular basis to provide the most health benefits as possible. Remember that you don’t need to take a lot of apple cider vinegar to see results, but you do need to take it consistently. A one-time dose won’t cut it. You have a few different options when it comes to taking apple cider vinegar in supplement form. Obviously, taking your apple cider vinegar in supplement form is the easiest and most convenient. You can travel with pills easier or put them in your car, so you don’t forget them. Some people just prefer to take a pill and be done with it, knowing that they have their apple cider vinegar needs covered for the day. Others don’t like taking pills, and this makes taking a capsule a difficult thing to swallow (literally). The one thing you’ll want to keep in mind when taking any supplement in pill form is that it’s easier to hide cheaper ingredients. Like we stated above, cheaper versions of apple cider vinegar have been heated to high temperatures and don’t really contain any of the healing nutrients. So unless you’re taking an apple cider vinegar pill that is organic, raw, and unfiltered, you could be taking something that does nothing for you at all. Additionally, it’s easier to slip preservatives, additives, and other harmful ingredients into the capsules of the pills. So while you could be getting a high-quality vinegar, the tablet itself could contain soy, gluten, dairy or other harmful additives. For this reason, taking the apple cider vinegar in liquid form is the best way to make sure you’re not taking more chemicals than you’re lead to believe. Taking apple cider vinegar in liquid form might be the best way to make sure you’re getting apple cider vinegar and only apple cider vinegar. This is because liquid products are less likely to be infused with shelf-stabilizing chemicals. Additionally, many capsules tend to be watered down or don’t contain the amount of vinegar that you could get just by taking it in liquid form. You’ll find that the ingredients list in liquid apple cider vinegar is much shorter, which means that it contains fewer preservatives, if any. You’ll have to replace it more frequently so that it doesn’t go bad. But it also means that you’re getting a better product. The only downside is that you’ll have to try to get over that awful smell of vinegar. We recommend plugging your nose and swallowing as fast as you can! So what do you do if you want to avoid a cheap apple cider vinegar pill but don’t want to take it in liquid form? You take it in powdered form, of course! In all honesty, taking a powdered apple cider vinegar supplement isn’t a bad idea. 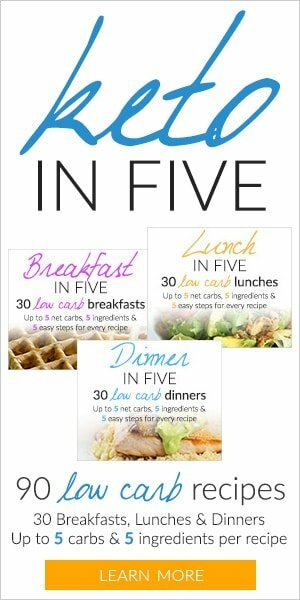 You’re less likely to have the bad aftertaste, and it can be mixed into baked dishes easier. However, many of these powders also contain additives, preservatives, and even sugar to help coat the flavor of the vinegar. So that leaves you right back at square one when it comes to avoiding additional chemicals or ingredients. For example, many apple cider vinegar supplements contain honey and this isn’t a keto-friendly food. 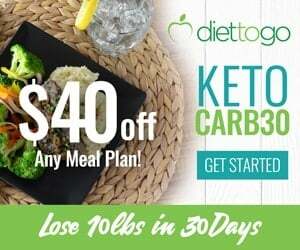 We recommend searching for a powder that is sweetened with stevia or monk fruit so you can stay in ketosis. Also, keep in mind that the process of turning a liquid into a powder involves some sort of processing, which means that you could be losing some of the “mother” when you switch to a powder. 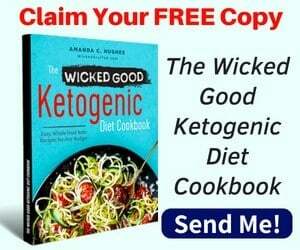 ​If you're on a ketogenic diet, you need to be careful when choosing AC​V pills because some products contain rice flour​ and bad fillers that wouldn't make it keto-friendly. We’ve done the research and found the top apple cider vinegar pills you can take without worrying about bad ingredients. 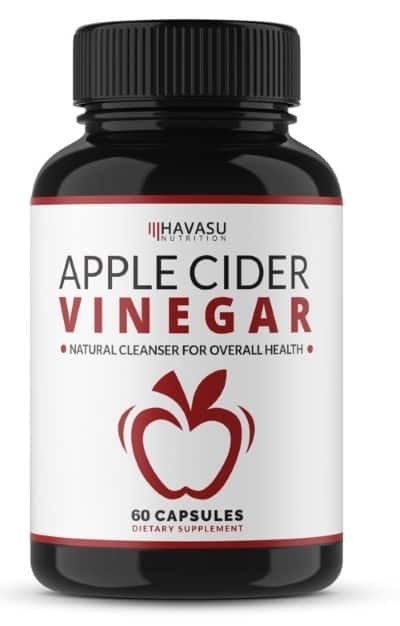 Havasu Nutrition makes an apple cider vinegar pill that also includes cayenne pepper for the ultimate detoxification supplement. It doesn’t contain any harmful fillers or additives, and the only other ingredients besides apple cider vinegar and cayenne pepper are what’s in the capsule (gelatin and magnesium stearate). So you’re getting a clean supplement that you can feel good about taking. Plus, it contains 500 mg of apple cider vinegar and 20 mg of cayenne pepper per capsule​. ​Cayenne pepper​ has many health benefits, including boosting metabolism​, reduc​ing hunger, improv​ing digestive health, etc... (27, 28, 29, 30, 31). Where to buy: Shop Now! 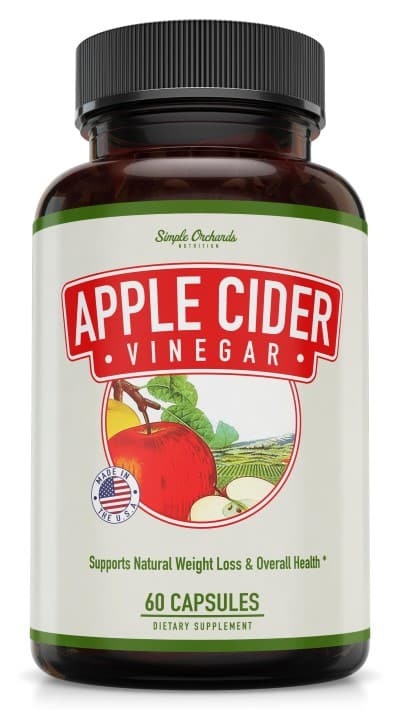 Simple Orchards Nutrition’s apple cider vinegar capsules come with a supply of 60 tablets per bottle, which should last you about two months for the reasonable price of under ten dollars per bottle. One serving contains 1250 mg of apple cider vinegar, which is a lot more than you’re getting in the previous product, but you’ll need to take two capsules to get this amount. 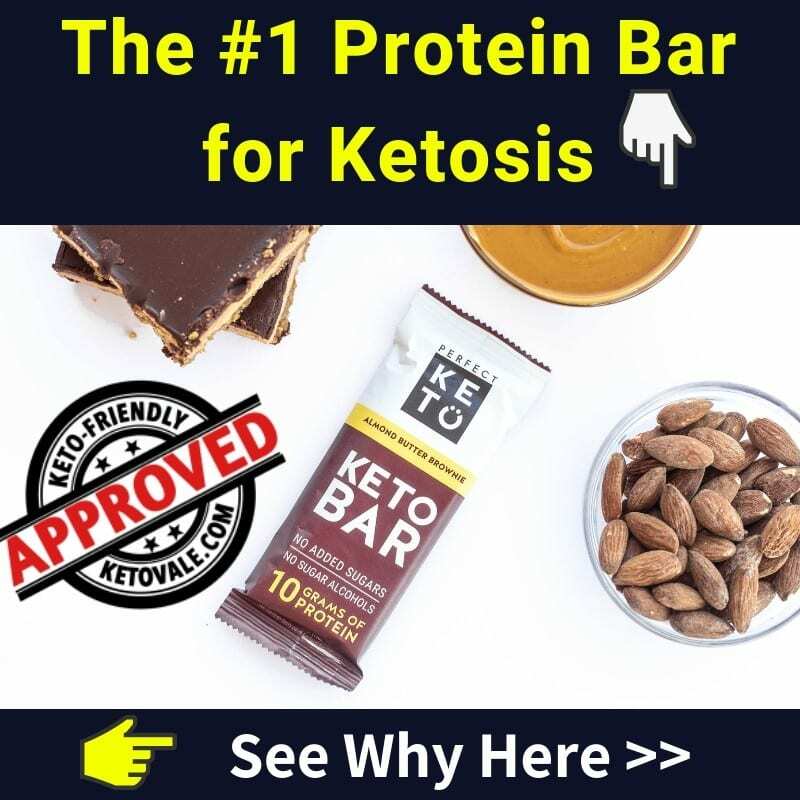 There are no other ingredients in the product, and the only ingredients in the capsule are vegetable cellulose, silicon dioxide, and l-leucine. Keep in mind that if you were to take apple cider vinegar in liquid form, you could avoid these fillers entirely, but then again, you wouldn’t get the convenience of taking a pill. 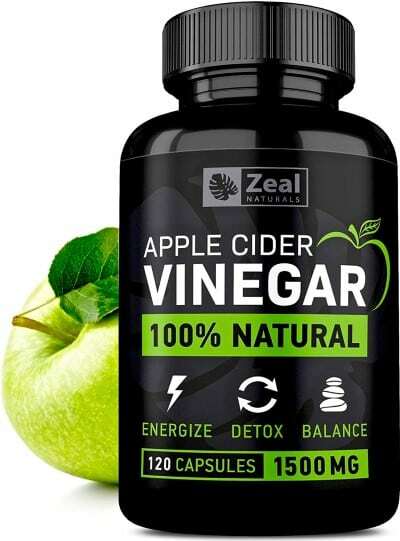 Zeal Naturals’ apple cider vinegar is a 100 percent natural product that contains apple cider vinegar powder along with cayenne pepper for better detoxification results. This product contains more apple cider vinegar and cayenne pepper than the first product we reviewed for right around the same price or less, which makes it a better deal. But the kicker is that you’ll need to take three capsules to get the recommended amount. This means that you’ll go through the bottle quicker and need to replace it sooner. The only ingredients in its capsule are gelatin and magnesium stearate, so there are no harsh fillers or preservatives. For example, pills are easiest and the most convenient to take, but there is no guarantee that you’re getting apple cider vinegar that contains the “mother,” which is the part of the vinegar with all the health benefits. On the other hand, taking apple cider vinegar in liquid form means you have to deal with the smell and taste of vinegar. Sure, you could put some in your foods but you won’t be getting the amount you need to really benefit from it. This leaves powdered form, but seems like a great idea. But keep in mind that the process of converting a liquid to powder often strips some of the nutrients of the product. So you’re right back at square one when it comes to the quality of the product. Our advice? Take a supplement that you will get the most use from. In other words, don’t take a liquid supplement if you hate the taste. Most people find that capsules are best. 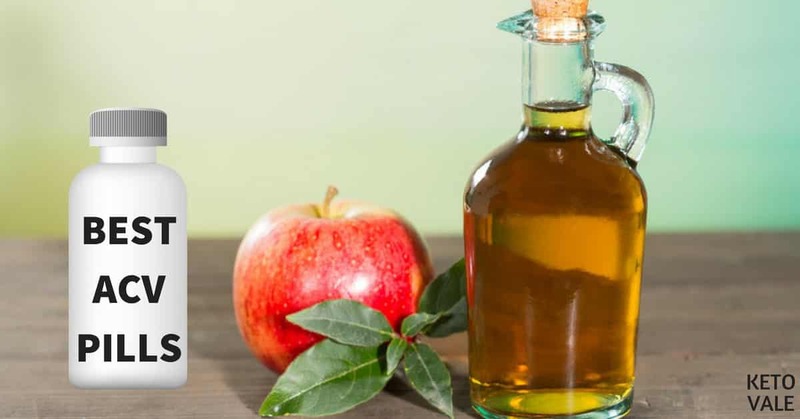 We’ve done the research and found the top three apple cider vinegar supplements out there. For additional health benefits, we recommend trying one that also has cayenne pepper in it. Happy supplementing!